This man first experienced Christ as the answer to questions that he had long been asking from within the framework of another religion. This should not surprise us. St. Augustine’s oft-quoted prayer expresses a profound fact about the human condition: our hearts are restless until they rest in God. The spiritual restlessness that characterizes the human quest can find fulfillment only in Christ. Interreligious dialogue can be important for us to understand better the ways in which human restlessness is expressed in different religious settings. We Christians are fond of polarization—nowhere more so than in our approach to other religions. Some Christians emphasize evangelizing strategies that are heavily weighted toward explicit convictedness: present the message of the gospel and invite people to become Christians. Other Christians rely heavily on civility: engage in polite dialogue with people from other religious communities in the hope of promoting mutual understanding and cooperation. The defenders of each of these approaches often don’t get along very well. The evangelizers accuse the dialoguers of sacrificing the gospel for religious relativism; they fear that the unique claims of Christianity will be bartered away in interreligious dialogue. The dialoguers respond by accusing the evangelizers of a religious imperialism that runs roughshod over the genuine insights that can be found in other religious traditions; they want to avoid a dogmatic spirit. It is important to value both evangelism and dialogue without reducing the one to the other. The two activities have a complementary relationship. Christians can engage in evangelization while at the same time hoping to gain new understanding through dialogue with other religions, so when “evangelism” and “dialogue” become the watchwords of two opposing camps, it leaves me very uncomfortable. I find that the dialoguers often explain their approach in ways that leave me no choice but to stay out of their camp. Theologians representing the dialogue cause often do sound relativistic; some even insist that interreligious dialogue is an important phase in our “evolution” toward a new “global theology” to which various religions will contribute their particular “hypotheses” about ultimate reality. I cannot accept a call to interreligious dialogue that rejects Christianity’s claims to uniqueness. I know Jews and Muslims who would also reject that approach. They do not want their claims to theological uniqueness reduced to mere “hypotheses” about spiritual things. There are genuine disagreements between the different religions. In the final analysis, the choice between religious perspectives has to do with mutually exclusive truth-claims about reality and goodness. No amount of dialogue will make these differences go away. But this does not mean that I’m a consistently comfortable resident of the evangelizing camp. My fellow evangelizers do sometimes (and I stress the sometimes) tend toward dogmatism and imperialism—especially in reaction to the relativistic statements of many dialoguers. But that does not mean they’re right in rejecting dialogue altogether. I want an evangelizing Christianity that is open to civil dialogue with non-Christians. So I look for ways of transcending these polarized positions. There is much to be gained from holding firmly to Christian truth-claims while genuinely engaging other people in serious discussion. I said that I do believe it’s important to share my faith in Jesus Christ with non-Christians, including Jewish people. But I also think it’s wrong, I told him, to treat Jews as nothing more than evangelistic prospects. I believe in evangelism. I want to talk about my faith in Jesus Christ with my Jewish friends. I would be unfaithful to my evangelical convictions if I ignored the clear biblical call to present the evangel—the good news that Jesus is the heaven-sent Son of God—to all people, including Jewish people. But I also feel a strong need to listen to Jews. Even if I thought they were unwilling to listen to my views (which has not been my usual experience), I would still find conversation with them worthwhile. Jewish people have much to teach me about Judaism and about their perspectives on the teachings and actions of the Christian community. They are helpful allies in many aspects of the struggle for public righteousness. And parallel benefits can be gained from promoting better understanding of and cooperation with Muslims, Hindus, Mormons, and other religious communities. We Evangelical Christians have to do much better than we have in the past. Many Evangelicals have assumed that to engage in friendly give-and-take exchange with people with whom we have important disagreements is a serious compromising of our core convictions. But the truth is that God himself has issued the mandate for dialogue. The author of the Epistle to the Hebrews puts it in a straightforward way: we are, the writer says, to “pursue peace with everyone” so that we can display that “holiness without which no one will see the Lord” (Heb. 12:14). I like the older translation of that passage, which tells us that we are to “strive” to live at peace with everyone. The Apostle Peter commends a similar pattern when he urges us to “honor everyone” (1 Pet. 2:17), and to be sure that, when we are expressing our deepest convictions to other people, we do so “with gentleness and reverence” (1 Pet. 3:15), the kind of gentleness and reverence that we Christians have experienced by the love of the God who so loved us—even when we were yet sinners living in rebellion against him—that he sent the Savior to Calvary on our behalf. Again, though, this gentleness and reverence does not come easy. It cannot mean compromising our deepest convictions. Rather, it requires that we draw upon those convictions in our dialogic efforts. The challenge, then, is to cultivate a spiritual outlook that is fed by those strong convictions. This is no simple feat. It requires hard spiritual work. Dialogue can be an important strategy for evangelism—a fact that’s been recognized by Evangelicals who call for “relational evangelism.” In many situations, the best way to evangelize is to establish strong bonding relationships with them: listening to them, identifying with their hopes and fears, gaining their trust. Then, when we do have the chance to talk with them about the gospel, they can accept our words as an expression of love for them. The empathic give-and-take of this approach is essentially dialogic in nature. That is good and noble. But it’s important that all dialogue with persons of other religious groups not be merely a strategy for evangelism. We mustn’t set these relationships up in such a way that our efforts will be a failure if the relationships don’t develop into evangelistic opportunities. 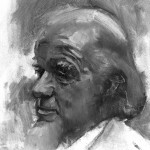 Francis Schaeffer, a Christian leader who did much to foster the idea of a more intellectually reflective Evangelicalism, talked often about the importance of “co-belligerency.” By that he meant that we should find ways of cooperating with people of other faith-perspectives in working for the common good. This would mean, he insisted, we would form ad hoc alliances—working with one group on this cause and with another on a different cause. Interreligious understanding is a helpful means to gain the appropriate information and sensitivities to seek out that kind of cooperation. So, except for evangelistic purposes, is it worthwhile to attempt dialogue about God and human nature and salvation? How can a true Christian have genuine “dialogue” with a Muslim, a Mormon, or a Buddhist on spiritual topics? Doesn’t a commitment to dialogue mean that I’m willing to follow the conversation wherever it leads, even if it means changing my basic convictions? How could I ever agree to that process? These are not cranky questions. They express important concerns. I have to admit, if entering into dialogue with other faiths means that I must set aside my belief in the uniquely redemptive work of Christ, then I cannot do it. For me that is one of several nonnegotiable convictions. Relations between evangelicals and Muslims is an important topic of public commentary. The relationship between the two faith communities is often in the news—notably in a recent, widely reported comment by a well-known Evangelical leader, that Islam is “an evil religion.” Nor is that an isolated opinion. Indeed, a phone survey conducted recently of 1000 Protestant leaders revealed that the vast majority of them agreed with the “evil religion” assessment.2 The minority of leaders who dissented tended to come from mainline Protestantism rather than the Evangelical camp. I do not subscribe to the “evil religion” viewpoint, in fact, I firmly oppose that assessment. We want to engage in friendly dialogue with folks in the Muslim community. We want to help build a bridge between Muslims and Evangelicals, a meeting point where we can form friendships, build trust, and talk with each other about matters that are, for each of our communities, issues of eternal importance. At the very least it is important for us to understand each other. Too often the relationships between our two faith communities have been dominated by caricatures and stereotypes. We have often assumed we know what the other side believes, without ever asking each other if we have it right. It’s become a cliché that “9/11 changed everything”; however, it isn’t true. The horrible events of September 11, 2001, shocked us, and appeared to have a permanent effect on the American mood. But we seem to have slipped back as a culture into many of our old attitudes and habits. What did change permanently as a result of 9/11, though, is our perspective on Islam. What had been experienced as a fairly abstract set of issues about religious differences—or when concrete, they were issues for other parts of the world—have become very personal and local for many of us. In the past—prior to the events of 9/11—I had approached my discussions with Muslim leaders in a fairly relaxed fashion. I even felt a kind of kinship with them. As a Calvinist I have a lofty view of God’s sovereign power, and I could affirm certain theological parallels between my theological understanding of the deity and that of my Muslim counterparts. As a person who worries about our secularized culture, I have even been able to express some admiration for the ways Muslims in the United States have resisted many of the things in that culture that I also want to resist. There was always, of course, the all-important question of who Jesus Christ is. But here too I often felt a kinship of sorts. My Muslim friends have always insisted on expressing their great appreciation of Jesus of Nazareth, pointing to the fact that their holy book itself sees him as an exalted witness to the Truth. My typical response to that has been to express appreciation for that positive view of Jesus, but to move on to talk about why I see the atoning work of Christ on the cross—a teaching that Muslims reject—as the real solution to the deep human problems of sin and guilt. In all of that, I learned to like the Muslims with whom I was having dialogues. Many of them were warm human beings who were enjoyable conversation partners. And those were the folks who came to my mind very quickly as I watched the planes crashing into New York’s Twin Towers. Even as I was reeling at what I was seeing on the TV screen in my home, one of our Fuller administrators called to ask me what I wanted him to do or say as a response on the part of our seminary community. One initiative that I set in motion right off was a call to the headquarters of a local Muslim organization to tell them that we were praying for them and were prepared to stand with them in the likely event that there would be a reaction against local Muslims over what was clearly a terrorist attack. That instinctive response on my part was based on a realization that the 9/11 destruction we were witnessing was an important teaching moment. To be sure, the lessons were much bigger than simply an exercise in interreligious understanding. But there were also significant interreligious issues at stake. Dialogue with Muslims was no longer something we did “below the radar screen.” We now needed to talk openly to our fellow Christians, and other citizens, about our understanding of Islam as a social-political presence in the world at large and in American life in particular. And we needed to give a show of support for our Muslim friends. A conversation that focused on the nature of God and the way to salvation had to focus instead on violence, peace-making, and citizenship. It meant that many of us in the Christian world had to make the case to our fellow Christians that global Islam is a complex phenomenon, with many different “denominations”—that not all Muslims line up with Osama bin Laden. Whilst Islam and Christianity are obviously different religions—and whilst there is no minimising some of their formal differences—it is clear that the Two Greatest Commandments are an area of common ground and a link between the Qur’an, the Torah and the New Testament. . . . So let our differences not cause hatred and strife between us. Let us vie with each other only in righteousness and good works. Let us respect each other, be fair, just and kind to one another and live in sincere peace, harmony and mutual goodwill. That warning is well taken. Even so, however, there are some reasons why the comparative method works better with reference to Islam and evangelical Christianity than it does in other comparative efforts. For one thing, the shared profession of faith in the God of Abraham is a legitimate starting point for us. Furthermore, we have somewhat similar understandings of the nature of the human person and of the present human condition. We each believe, for example, that we human beings, if left on our own, cannot find the path to eternal blessedness. We need a revelation from God, a God who in turn must redirect our wills toward himself, providing us with those commandments—those prescriptions for righteousness that we could never come up with on our own—that show us the way in which we must walk if we are to be directed toward our eternal destinies. There is another factor, however, that is especially important for our respective roles in public life: our religious beliefs are for each of our communities matters of deep conviction. Each of our communities worries much about the ways in which many of the dominant patterns of the larger culture—especially the larger culture of the West—pose a serious threat to the maintenance of these deep convictions. 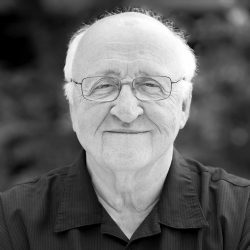 The huge challenge that we evangelicals face in this regard, then, is how do we live out our faith in a pluralistic society in which we acknowledge the rights of our fellow citizens—people whose values, beliefs, and lifestyles we often strongly disagree with—to acknowledge nonetheless their rights enjoy the same freedoms that we claim for ourselves? And this is a topic about which Muslims and Evangelicals have much to discuss together, since we both operate with equally strong convictions that we bring with us into the public arena—those deeply held beliefs that in good part go against the grain of the dominant cultures of the West. That thought is deeply offensive theologically to Muslims and Evangelicals—and also to Jews. In our Abrahamic tradition, God is viewed as the Wholly Other. There is an unbridgeable ontological gap between Creator and creature. God is God, and we are not—nor will we ever become God. Nor is this a mere piece of abstract metaphysics for us. The God who is Wholly Other is the One who alone is worthy of worship. And that God has revealed himself to us: the Transcendent One has spoken, which means that we are not without guidance regarding the basic issues of time and eternity. We also each believe that the revealed will of this God, furthermore, speaks to us in our totality, the wholeness of our lives. This means that we cannot segregate off some area of human existence as if it were not under the rule of the Almighty. Each of our communities believes that all human beings live, to use an old Christian theological term, coram Deo—“before the face of God.” Like it or not, no human being can escape the divine Presence. The advice that the prophet Jeremiah gave in ancient times to the newly exiled people of Israel has application to our Christian presence in contemporary societies. The Israelites suddenly found themselves in what they experienced as a hostile spiritual environment. They no longer had a temple in which to worship, and they found themselves in a culture where the laws and practices were far removed from what they had known in Jerusalem. Amidst their confusion about how they were to live as a people obedient to God in this setting, the prophet Jeremiah comes to them with a word from the Lord. You are to build houses and reside in them, he says, and to plant gardens for food to eat. You are also to marry off your sons and daughters so that they may “multiply” in the land. And then this: “But seek the welfare/shalom of the city where I have sent you into exile, and pray to the Lord on its behalf, for in its welfare/shalom you will find your welfare/shalom” (Jer. 29:4–8). The command to them was to “seek the shalom,” the salaam, of the place where they were living as exiles. And again, Christians need to see that as a command for us today. It is not our job to change the world, but to respond to opportunities, in cooperation with others, in the places where God has located us, actively to accomplish some good things in this stage of history, in the knowledge that it is only when Christ returns that all things will be made new. Evangelicals need to be in dialogue about how we can seek to accomplish some of these good things with other faiths in our present cultural contexts. It is good to talk about our shared discontent with much that is going on in those cultural contexts. In this, we can fully expect to learn from each other. And among other things that we have to talk about, it is important to share our testimonies about what each of us sees as the kind of spiritual resources that we can draw upon for cultivating the patience and hope that can sustain us in the here-and-now. In the meantime, we must find ways to encourage our respective communities to treat each other with gentleness and reverence. We have been learning a lot at Fuller about showing hospitality to other religious groups. In cooperation with the Board of Rabbis of Southern California we regularly host rabbi-pastor dialogue events. When we do, we work with a caterer who provides kosher food. When our Mormon friends show up for in-depth conversations about LDS-Evangelical differences, we don’t have “coffee breaks”— instead we lay out plenty of fruit juices! And, as I write this, I have been told that we have made plans for a Chinese meal for government officials who will soon visit us from Beijing. When a group of Muslim scholars visited Fuller Theological Seminary’s Pasadena campus not long after 9/11, we moved a large table out of one of our conference rooms and installed a Muslim prayer rug. Then we invited an imam from a local mosque to bring in a special compass that accurately pointed the direction to Mecca. We wanted our Muslim guests to be confident that this was an appropriate place for them to say their prayers. This particular group of Muslims was touring the United States at the invitation of our State Department. The American government wanted Muslims representing various Islamic cultures around the world to engage in dialogue with religious groups here, about how we Americans understand church-and-state and religious pluralism. Fuller was chosen as a campus where they would spend about a third of their three-week tour. Our scholars talked with them about Bible prophecy, the uniqueness of Christ, the Way to eternal salvation, and the like. In order for that to happen, we had to show them the very basic requirements of hospitality. Asbury Seminary professor Christine Pohl chose a fitting title for her fine book about Christian hospitality: Making Room. I like that image very much. As a theologian friend once pointed out to me, God himself is a champion of hospitality. Indeed, the very act of creating the likes of us was an exercise on God’s part in “making room.” God was under no obligation or compulsion to create anything at all. Deciding to make a world was a free and sovereign act. And in choosing to do so, God made room for fellowship with human creatures. Even more amazing: when we rebelled against the Creator, he reached down in Christ and made room for us at the cross of Calvary. 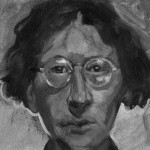 Mystic Simone Weil was born in Paris, France, in 1909 and died in Ashford, Kent, England, in 1943. philosopher, Christian mystic, and social activist, weil suffered from both physical and emotional eccentricities, but she wrote powerfully about political movements of which she was a part. In her later years, her writings about spiritual mysticism eclipsed even her political writings, notably with Waiting for God. What we have been doing much of in recent years at Fuller is making room for folks with whom we have very serious disagreements—indeed, with some, disagreements about matters that have eternal significance. And we have benefited as others have made room for us as well. At our regional campus in Northern California, where we are housed at St. Patrick’s Seminary, our Catholic hosts have done a wonderful job of making room for us. And recently we have begun to explore a mutual hospitality with them on a different level. They have asked us whether we could make room in some of our courses for their students who are studying for the priesthood. And we are exploring ways in which we can also be hosted by them in some of their courses that would be helpful for our students. The big question is whether we can also make room for the ideas of others, especially ideas that come from outside the Christian community. We Evangelical Christians are right to see that as a challenge. We cannot in any way compromise our understanding of the uniqueness of Jesus Christ as the heaven-sent Savior who alone is the Way to God. I think a lot about these matters, not only as Fuller’s president, but also as a grandfather. Our grandsons are being nurtured in the faith in a Christian home and an Evangelical congregation. We thank the Lord for that. But they go to public school classrooms where some of their best friends are Hindus and Muslims. I’m glad that they have that opportunity, and that they are asking good questions about these relationships. I want Fuller to be working on the answers—for them and for many others who must learn how to serve the Lord in an increasingly pluralistic culture. Here is how I make the case for Fuller’s interreligious dialogues. Witnessing to others about Jesus is nonnegotiable for us. That’s one crucial element for us in our dialogues. But interreligious dialogue is not only about evangelism. Learning on our part is also important. We need to learn from others. At the very least, we need to learn about how others see us—how they have interpreted our record of interacting with them. My Jewish friends have taught me much about the long history of Christian anti-Semitism. Mormon scholars have told us moving stories about times when Christians drove Mormons from their communities. The Muslim version of “the Crusades” has some important correctives to the accounts that many of us have been taught. I believe when we genuinely listen to those with whom we disagree, we are following through on the psalmist’s prayer: “Search me, O God, and know my heart; test me and know my thoughts” (Ps. 139:23). This kind of learning is so important for our kind of seminary. We were founded by leaders who had a vision for the renewal of the whole Church. Rejecting the separatistic spirit that had for so long infected evangelicalism, they were committed to equipping men and women to minister in the mainline denominations, as well as in the evangelical denominations and parachurch organizations. This broad scope is crucial to our continuing mission, as we have even reached beyond the Protestant world to have a significant impact also on renewal movements within Catholicism and Orthodoxy—as well as on a variety of campus ministries, where the encounter is often with the latest trends in secular and neo-pagan thought. A third element of our approach to interreligious relations is exploring ways of cooperating with others. Billy Graham has been an important model for us in this regard, with his “cooperative evangelism” approach of seeking partnership with anyone who would support his basic message of offering salvation through Christ to lost sinners. The late Francis Schaeffer extended this approach when he encouraged evangelicals to find “co-belligerents” on specific issues—selectively forming alliances on this or that project aimed at promoting the common good. I am deeply grateful for that kind of response. As Evan-gelical Christians, we believe that the only truly “safe place” in the universe is found by those “who live in the shelter of the Most High, who abide in the shadow of the Almighty” (Psalm 91:1). If we are to be successful in pointing others to that eternally safe place, we need to assure them that they are safe when they choose to spend time with us. What Can Dialogue Teach Us about Spiritual Matters? I find this intriguing. I have to admit that I balk at her suggestion that Christ wants us to value truth more than we value him. But I know that Simone Weil never meant to suggest that we should not be totally committed to Christ. Her writings are rich expressions of deep devotion to her Lord. What Weil is pointing to is the need to have such total trust in Christ that we are not afraid to follow the truth wherever it leads. He is “the true light, which enlightens everyone” (John 1:9). Jesus is the Truth. We do not have to be afraid, then, to enter into dialogue with people from other religious traditions. If we find truth in what they say, we must step out in faith to reach for it—Jesus’ arms will be there to catch us! Interreligious dialogue, then, can be an activity that we Christians undertake in Christ. The Apostle Paul proclaims an important truth when he tells the Colossians that in Christ “all things hold together” (Col. 1:17). The Son of God also holds the “all things” of other religions together. His Spirit is everywhere at work. No religious conversation can address matters that take place outside of his sovereign rule. 1. Stephen Neill, Christian Faith and Other Faiths (Downers Grove, IL: InterVarsity Press, 1984), 124. 2. Rob Phillips, “LifeWay Research Finds Protestant Pastors View Islam with Suspicion,” April 23, 2010, http://www.lifeway.com/Article/LifeWay-Research-finds-Protestant-pastors-view-Islam-with-suspicion. 3. “A Common Word between Us and You,” A Common Word website www.acommonword.com/index.php?lang=en&page=option1. 4. Stephen Neill, Christian Faith and Other Faiths: The Christian Dialogue with Other Religions (New York: Oxford University Press, 1961), 3. 5. Simone Weil, Waiting for God, trans. Emma Craufurd (San Francisco: Harper & Row, 1973), 69. 6. S. Mark Heim, Is Christ the Only Way? Christian Faith in a Pluralistic World (Valley Forge, PA: Judson Press, 1985), 150.